First off let me clarify that I am NOT the one who bought GG her American Girl doll. I saw the price of those suckers and said "No Way!!!" And speaking of sucker, I think that company likes to sucker people in by saying you can buy a doll that looks just like you. 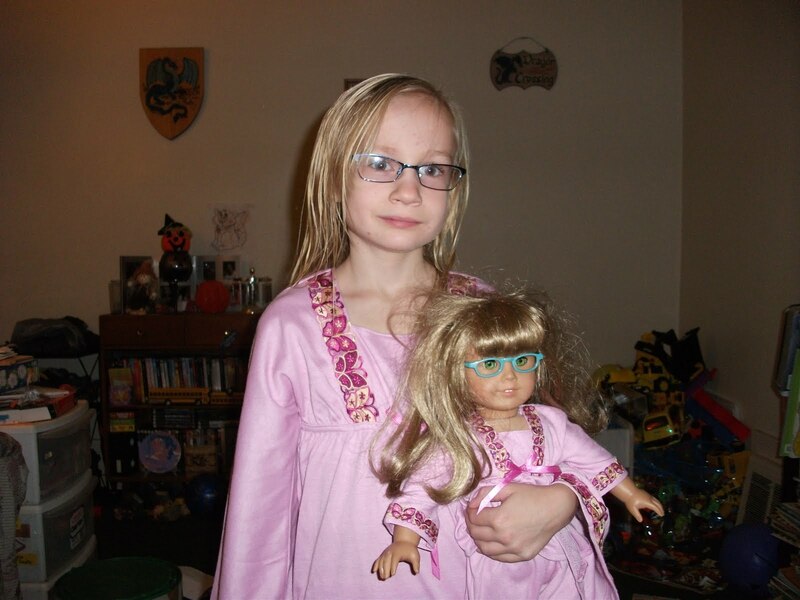 GG recently celebrated her 8th birthday and one of the many gifts from her Grandparents was matching pajamas for her and her doll, Rachael. Lookie! Her and Rachael match! They even have matching glasses! I know I've mentioned this before, and sorry to shove it in your face again, but I bleed black and gold! 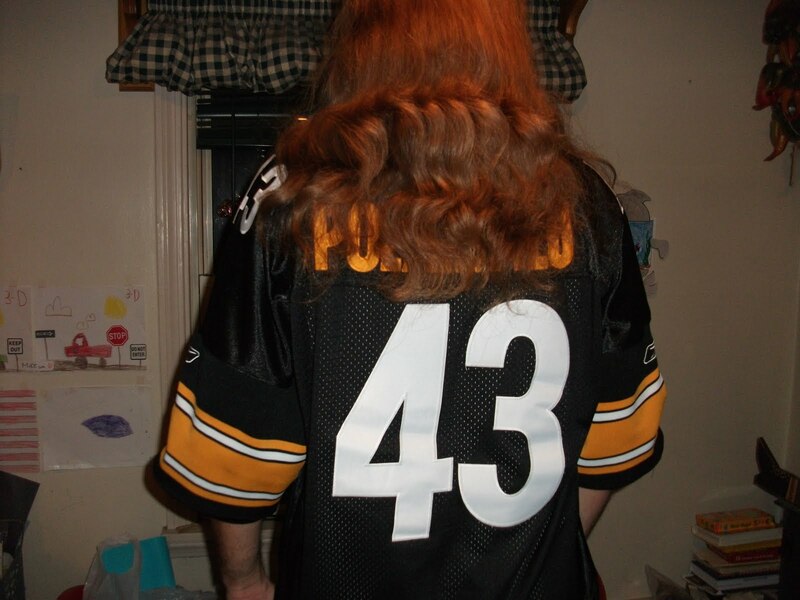 What I didn't know was that I have one of the Steelers living in my house. Where the heck have I been?!?!? If he just dyed his hair, do you think he could pass for Troy? Stick a helmet on his head - no one will ever know! Click on this little cutie pa-tootie. and you can head to the auction from there. Tons of good stuff. I promise! you can get all your shopping done. And not have to leave the house. She looks so proud of her doll! It really is neat how they can look and dress alike. Happy WW! 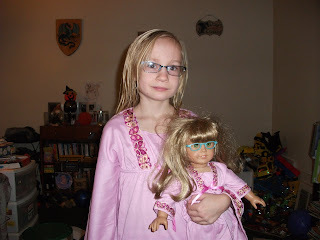 What a cute idea the same pj's for her and the doll. So cute though! I remember when Cabbage Patch Kids were like $200! Now there less than $20...I saw that the other day and felt really old! Yes, you have twinsies there! I love those dolls and I don't have a daughter to buy one for! love all of the pictures. Have a wonderful day. I used to love when people got me and my doll matching clothes...Happy Thanksgiving!